A couple of weeks ago I received an e-mail from the Gettysburg Flag Works of East Greenbush, New York. They said they were fans of the blog and asked if they could send me one of their flags for my classroom. 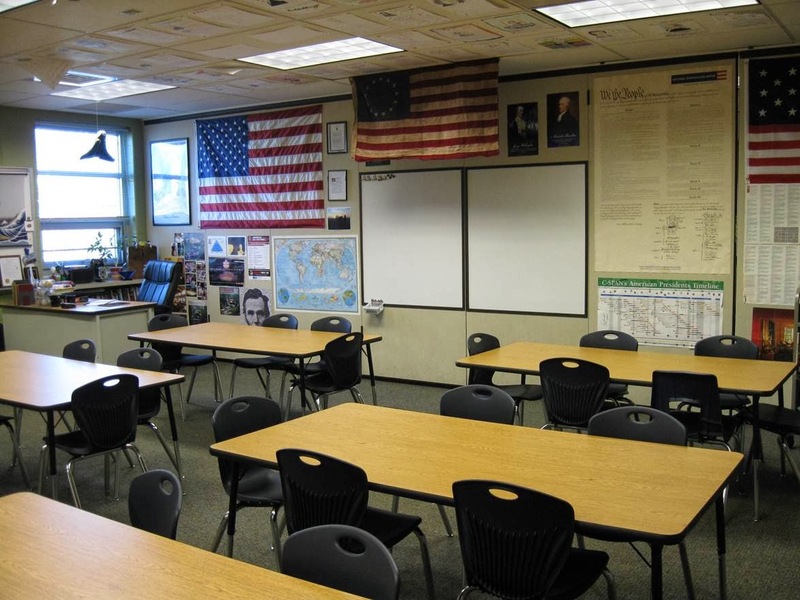 I love displaying flags in my classroom and started to check out their selection of flags online. They have an incredible selection of flags, including many historical flags from the Revolutionary War and Civil War. I finally made a decision - the Tea Stained Betsy Ross flag. I received the flag in the mail today and immediately put it on display in my classroom. It was an instant hit with my students. It has the appearance of a historic flag and it a great way to start a discussion about the historical significance of the Betsy Ross flag. Thanks to the Gettysburg Flag Works for the flag. It is a great addition to our classroom. This is the second year we have used MakeyMakey kits in my 8th grade American history classroom as a project when studying the industrial revolution. In the past after discussing innovation and inventions (like Morse Code, John Deere's plow, etc.) I had students come up with their own invention. They would fill out a simplified patent application and it was an OK assignment but more often than not it was a very unrealistic invention - basketball shoes that allowed you to dunk, a machine that created an entire four course meal with the push of one button. 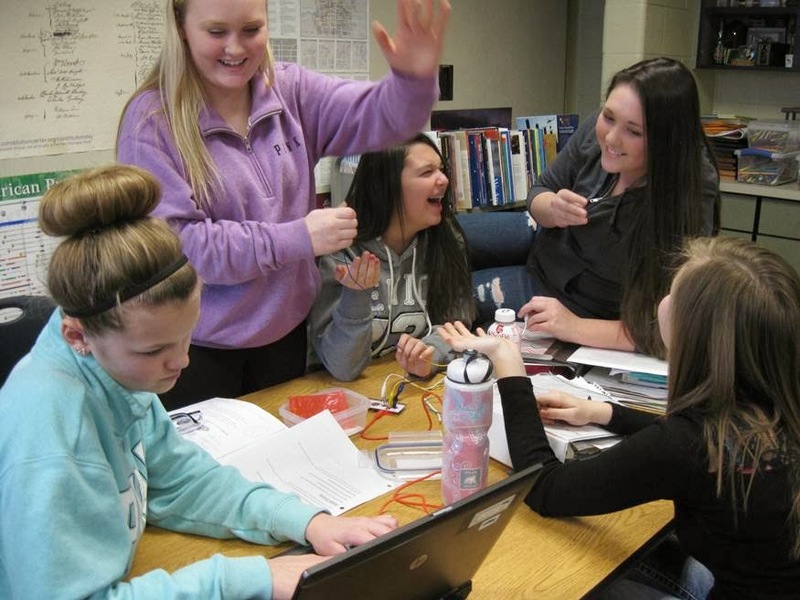 Last year I handed out MakeyMakey kits to groups of students, showed them how it worked and then let them play with it for a day to create their own "invention". The students then share their invention with the rest of the class in a "Shark Tank" style. The students loved it. Some students said it was one of their favorite activities of the year. We are doing the project again this year and today was their day to work in groups and try to invent with their MakeyMakey. 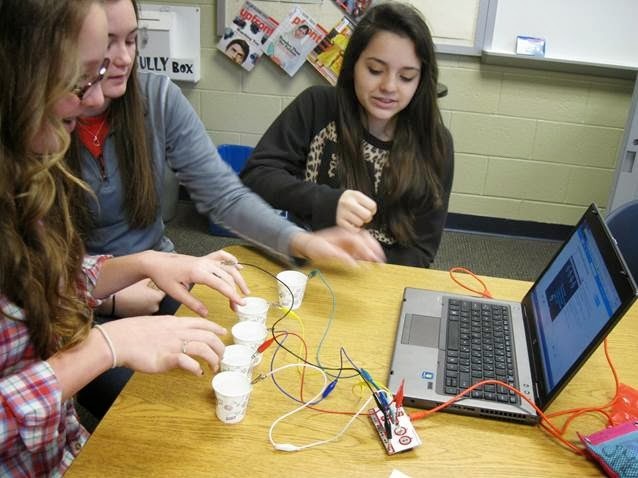 Since students are just given one period - about 45 minutes - to create something with the MakeyMakey they typically create game controllers in a variety of formats - pencil lead cardboard, water in Dixie cups, gummy bears, fruits, etc. They had a blast and tomorrow they will share their creation with the rest of the class. 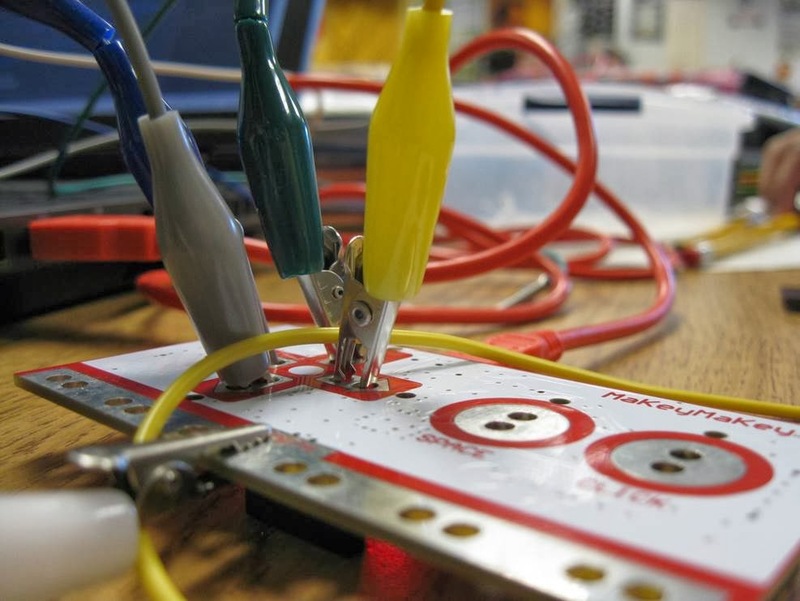 MakeyMakey kits are one of my favorite ways to introduce the maker movement to my students. 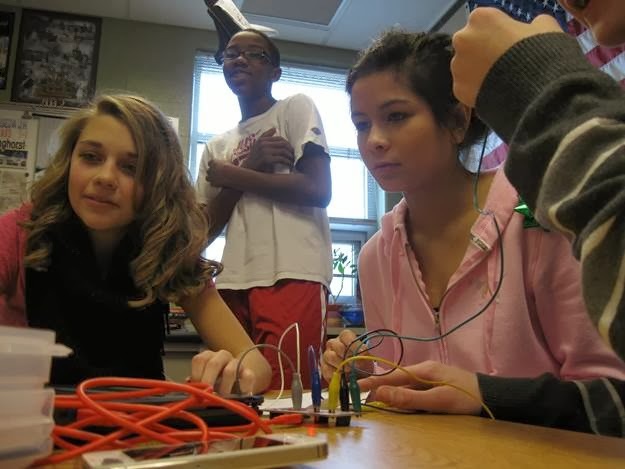 Later in the semester my 8th grade emerging technology class will work with the MakeyMakey kits for a little longer and create something a little more complex. This week I added a new decoration to my classroom - an American Bison trophy head. It is made completely of cardboard and was made by Cardboard Safari. Here are a couple of pictures of the creation process and the finished product.